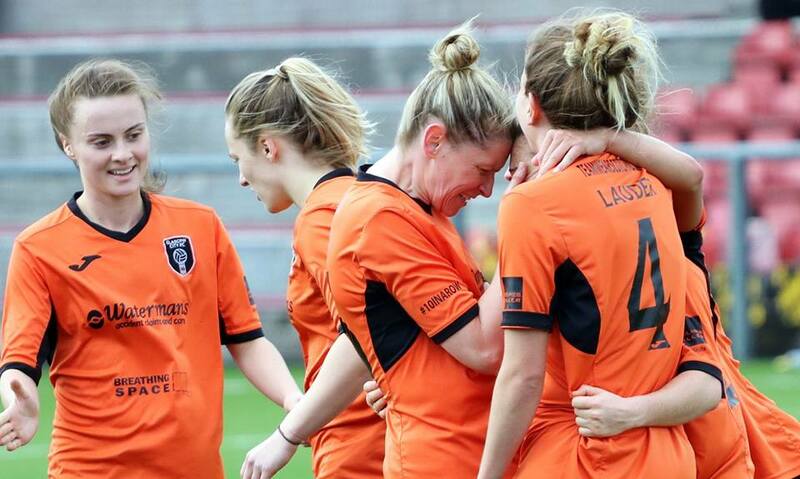 Glasgow City regained the Scottish Building Society SWPL 1 leadership on goal-difference from Hibernian with a 3-0 victory at Stirling University, while the Old Firm derby ended in a goalless draw. The reigning champions were ahead in only 5 minutes through Leanne Crichton and Carly Girasoli got the second 20 minutes later, Hayley Lauder making it 3-0 midway through the second half. Celtic are 20 points behind the top two after being held to a goalless home draw by rivals Rangers. 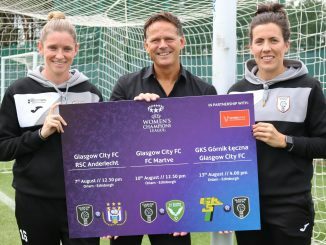 Celtic’s Collette Cavanagh saw her first-half effort turned round the post by Khym Ramsay, while Rangers’ Jade Gallon had a lob which dropped just over the bar. The hosts went very close late on but Ramsay made another fine stop and the last effort came back of the bar. Spartans stayed two points above bottom of the table Hamilton Academical after the pair shared four goals. 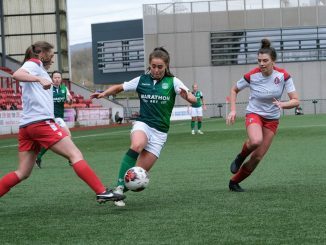 A last-gasp Lori Gardner goal got the Accies a point, despite them being down to ten players with a red card for Jade Lindsay. Elana Santoyo-Brown and Alana Marshall found the net for Spartans, Amy Anderson with a penalty for the visitors. Champions Motherwell ran out 9-0 winners over lowly Central Girls Academy. 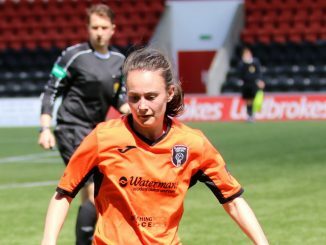 Sammy Hare featured with four goals and Suzanne Mulvey hit a hat-trick. Third-placed Hearts moved three points ahead of St. Johnstone after beating them 2-0 away, Ashley Carse and Pamela Liddell finding the net. Edinburgh University Hutchison Vale remain a point short of Glasgow Girls with whom they drew 3-3. EUHV led 3-1 with goals from Beth MacLeod, Katherine Smart and Anna Hume but the visitors got both of the second-half goals to tie the match.